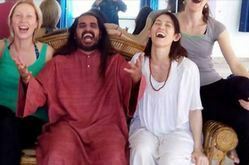 The 200 hour yoga teacher training in rishikeh, India at yoga sadhana rishikesh is certified with Yoga Allience. 200 Hours TTC program is for both beginner as well intermediate level yoga students who wish to deepen their personal practice. Upon completion, Students will receive a Yoga Alliance certified diploma that will allow them to teach globally. The Training People India furthermore facilitates with the endurance programmes in the vein of YOGA and MEDITATION. As of you are never too young or too old to reap the befit of these delightful programmes login to The Training People India and know more about the endurance programmes and curriculums. The teachings are conducted in Gurukula style that is to a small group at a time. Just like the same medicine is not administered to all the patients, Vinod Kumar prefers to teach on one to one basis. 21 Days Yoga Teachers’ Training CourseThis course is suitable for teaching yoga to young adults only without health problems. Intensive Yoga teachers’ training in theoretical and practical aspects of Yoga is offered. Anand Prakash Ashram hosts 200-hour and 500-hour Yoga Teacher Training programs taught by Yogi Vishvketu through World Conscious Yoga Family. The programs are registered with the Yoga Alliance. For more information on Yoga Teacher Training programs held at Anand Prakash Yoga Ashram in Rishikesh. - Yoga teacher training program focuses on learning how to teach basic yoga techniques. - Yoga is a complete lifestyle. Yoga teacher is just NOT a fitness instructor, but Yoga teacher is a healthy lifestyle guide or yoga lifestyle consultant.